As the leaves continue to fall, making sure your gutter is clear has never been more important! Failing or simply forgetting to maintain clear gutters doesn’t just mean that leaves are just sitting there, those leaves can have a detrimental effect on your property which could cost thousands to repair. Clearing gutters can be a messy job, made more difficult while balancing on a ladder which is why Totally Blocked provide comprehensive gutter clearing in West Sussex, Hampshire & Surrey. Leaking Gutters – leaks can cause extensive damage to the exterior of your property and of course the gutter itself, causing it to eventually give way. Prolonged damp can also cause rotting and moild to form. 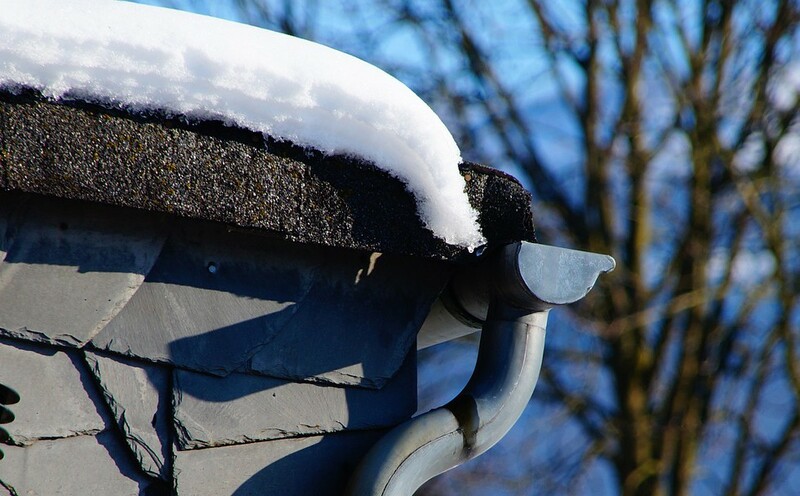 Leaking Roof – if your gutters can not correctly steer water away from the roof because of a blockage, the water has to go somewhere, which unfortunately means is will collect on the roof, which could then seep in. Snow and subsequently ice can make this issue even more problematic. Structural Damage – For timber builds or homes with timber foundations, water will eventually saturate the house if a gutter cannot drain the excess water away causing extreme structural damage. Infestations – Bugs and insects will naturally follow water so if water is accumulating in your blocked gutters or on your roof, so will the insects which could lead to a nasty infestation. Soggy Surroundings – As excess water leaks, this can cause your garden to drown in water as well as causing your adjoining pavements and driveway to flood. For a fast, reliable and affordable gutter clearing service in West Sussex, Hampshire & Surrey, call Totally Blocked on 07712671664 for a quote and to arrange your gutter clearing. Or contact us HERE.